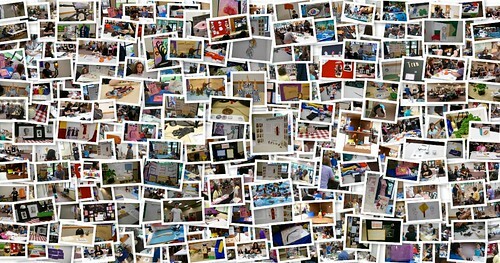 Visit the Imagination Fair on Flickr to see photos of past Imagination Fairs. What is the Imagination Fair? More than an art show! More than a science fair! More than a tech fest! It's a space for homeschooled children of all ages to display, demonstrate and discuss the products of their creativity. There are not superlatives sufficient to express just how awesomely awesome the Imagination Fair is … and how much joy it brings to everyone who participates each year. But let’s try to put into words what makes it so stupendously INCREDIBLE! First, your astonishingly creative kids will have the chance to exhibit what they love — anything they can imagine (and that will fit on half of an 8-foot banquet table). You will be blown away by the marvelous diversity of exhibits. Contraptions, artwork, handicrafts, history explorations, computer programs, collections, pets, board games, video games and card games, science inquiries, and so much more! The Imagination Fair was created to accommodate those creations that fall outside conventional categories of the traditional science fairs, tech fests, and art shows. It’s the perfect place to showcase your child’s "outside the box" creativity! Exhibits can be anything! Board games, card games, dice games, trivia games, and video games. Animations, novels, short stories, comic books, and more! Contraptions, electronics, robots, rockets, and go-karts. Models, architecture, dioramas, cardboard creations, LEGO® masterpieces and MINDSTORMS® marvels. Clothing, costumes, crocheting, weaving, and quilts. Collections of hats, stamps, rocks, and more! Explore a subject from history, science, nature, or the modern world! Showcase your cats, your shoes, your toys, or whatever you love! Your kids are not just going to show off what they love! They’re also going to have inspiring one-on-one in-depth sit-down conversations about their projects with our fantastic “5-Minute Mentors.” These are admiring adults (homeschooling parents, grandparents, aunts & uncles, homeschool teachers and tutors, and other members of the community) who have signed up in advance to come enjoy “5-Minute Talks” with our young exhibitors about the magnificent products of their imaginations! These open-ended chats are the perfect chance for your children to to talk about what they made, how they made, why they made it, what they learned while making it, what they’re still trying to figure out about making it, how they might make it differently, and what they want to make next! Your kids don't just get to talk to these delightful mentors! At the end of each “5-Minute Talk,” each mentor places a colorful and unique “button sticker” on the Exhibitor’s Participation Certificate. As each Exhibitor typically talks to about 20 mentors, this creates a beautiful individualized frame-worthy keepsake item for each child. But that Participation Certificate is not the only keepsake. There’s also the Exhibit Catalog which showcases each young Exhibitor and their Exhibit as well as each of our mentors! Your children will have a dedicated space to describe their project and/or themselves and to include a photo — of themselves, or of their project, or of themselves with their projects! Exhibit Bingo is an original Exhibitor idea to help younger kids get involved — but all ages are invited to play the game! When a mentor or guest visits an Exhibit and ask at least one question, the guest earns a Bingo stamp from the Exhibitor. Exhibitors stamp in the space for their Exhibit number. Every 5 stamps (in a row or not) wins a small prize. While Nic Rosenau does the bulk of the organizing work (and loves every minute of it), she does need assistance to make sure this amazing event happens year after year — especially warm bodies on the day of the fair! Join the Imagination Fair’s Make-It-Happen Yahoo Group. Volunteer to participate as a mentor. Talk to your friends and family about participating in the event as exhibitors, mentors, advertisers, sponsors and guests. Download an Imagination Fair flyer (PDF) for printing, posting, and sharing. Follow the Imagination Fair Facebook page — and invite your friends to do the same. Follow the Imagination Fair on Twitter. Place an advertisement in the Exhibit Catalog to simultaneously promote your group, event, services or organization and help cover keep exhibitor participation fees low. Donate small prizes for Exhibit Bingo. Make a cash donation. The Imagination Fair is an all-volunteer zero-profit endeavor, but it is not recognized by the IRS as an official 501(c)(3) non-profit organization, so be aware that any contributions made will not be tax deductible. Because creating this extraordinary event takes cold hard cash, there’s space in that Exhibit Catalog for advertisements, which are a great way for homeschool co-ops, homeschool tutors, those offering homeschool classes, and area businesses to reach homeschoolers. Prices start at just $12 and include online exposure on this website and our Facebook page and Twitter. The Imagination Fair is serious about inclusivity. All homeschooled children are welcome to participate. The Imagination Fair does not discriminate based on race, color, national origin, ancestry, gender, familial status, marital status, sexual orientation, gender identity and expression, disability or handicap, neurodiversity, veteran status, economic status, religion, or homeschooling philosophy or style. We do discriminate on the basis of age since exhibitors must be children (or recently minted adults still in high school or just graduated). However, mentors, guests, and parents of all ages are welcome! Guests: While the focus of the Imagination Fair is on the “5-Minute Talks” and exhibitors are encouraged to invite friends and family to volunteer as “5-Minute Mentors,” the community is invited and encouraged to also come and see all the amazing products of the imagination. Expenses for the Imagination Fair came to between $10–$12 per exhibitor. The volunteer event organizers are asking for $8 per half-table to help cover those expenses with a sibling discount of $6 per half-table for each additional child from the same household and a scholarship rate of $4 per half-table, which is available on request. Homeschool Adventures does not organize, host or sponsor events. Instead, it provides the structure to assist individuals in doing so. The volunteers organizing the Imagination Fair are members of Homeschool Adventures and rely heavily on that support structure and community to ensure a successful event.